$15.8 million police department headquarters, located at 720 W. Main Street. Department personnel moved from 101 S. Illinois Street, the former building it shared with City Hall, to its new location earlier last month. With all personnel and offices vacated, IMPACT Strategies has begun asbestos remediation and demolition as part of a major renovation project at City Hall that will be ongoing until spring of 2017. IMPACT began working with the City of Belleville early last spring in an effort to provide a solution for the outdated, overcrowded building that housed police headquarters and City Hall offices since 1957. With the City having purchased the 44,000-square-foot building at 720 W. Main St., IMPACT Strategies undertook reconstructing the building’s interior, transforming it into a new, state-of-the-art police department with a forensics lab, dispatch center, sally port, community classroom, 9-1-1 emergency call center, and storm safety areas for prisoners and employees. IMPACT also built an adjacent parking garage with enough room to accommodate a large number of police cruisers and a maintenance area for city vehicles. With the completion of the police headquarters project, work is now underway to help to expand and modernize Belleville’s existing City Hall facilities. 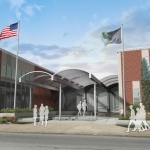 The project’s first phase involves the removal of asbestos throughout the building, as well as changes to its exterior and interior to make it ADA accessible. Renovations also include updates to the main administration areas on the first and second floors, significant security enhancements in Council Chambers, and the addition of a balcony in Council Chambers to provide increased seating capacity. The renovation project is costing the City approximately $2.5 million. 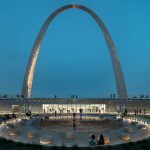 IMPACT collaborated with The Lawrence Group Architects of St. Louis, Inc., for both City projects. 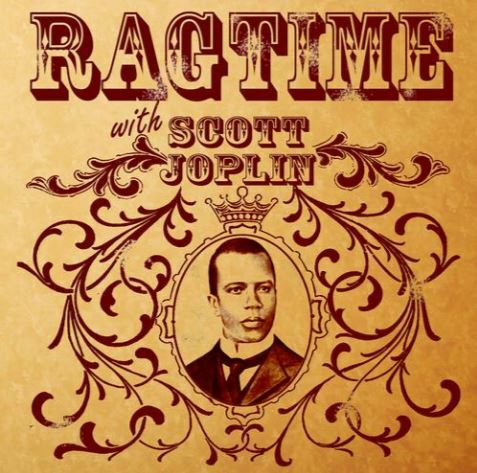 The Hicor Group will begin a series of updates to the Scott Joplin House and Rosebud Cafe in St. Louis next month. The project is the first phase of a long range historic renovation program being planned by the Missouri Department of Natural Resources. 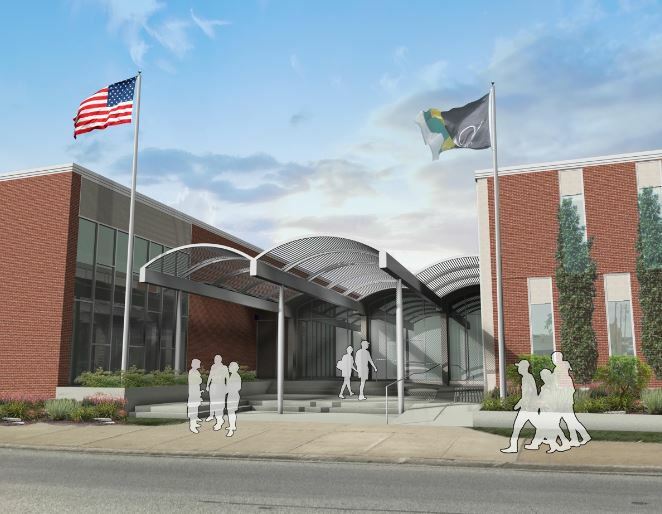 Upgrades to the buildings will include tuck-pointing, a new period correct cedar shake roof and metal coping along with a flat roof replacement. CMT Roofing, Crossroads Roofing and McDonnell Building Sealants will work in conjunction with The Hicor Group as part of the project. 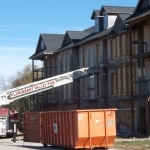 Hicor will self-perform the demolition, carpentry and other miscellaneous repair work on the project. Work is scheduled for completion in November. 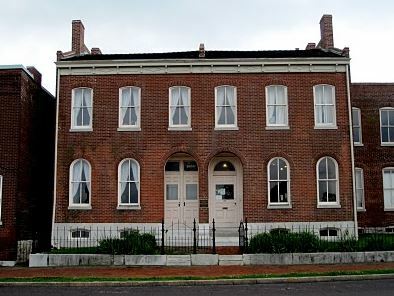 The Scott Joplin House is a Missouri State Historic Site and a National Historic Landmark that is also on the National Register of Historic Places. Located at 2658 Delmar, it is estimated to have been built during the Civil War and is typical of the tenant row houses built in the City during that period. 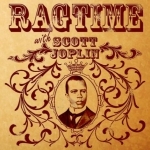 Scott Joplin lived there from 1901-1903. Stafford also said The Hicor Group looks to continue to build on the recent success they’ve enjoyed on state construction projects, including playing a significant role in the construction of Echo Bluff State Park. The $52 million project was completed in July and opened this summer as one of Missouri’s premier state parks. The Hicor Group is a minority certified (MBE) General Contractor that specializes in commercial construction and historic preservation work. The company also provides construction management, general contracting and carpentry services. Founded in 2014, The Hicor Group is an SBA-certified Small Disadvantaged Business (SDB) and a wholly owned subsidiary of Chameleon Integrated Services (Chameleon). The Hicor Group’s office is currently located inside Chameleon’s headquarters at the Barnett on Washington building at 3207 Washington. 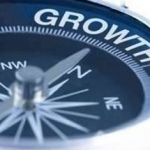 For more information on The Hicor Group, visit www.thehicorgroup.com. S. M. Wilson & Co. has been selected by Erickson Living to build 108 new independent living apartments at the Tallgrass Creek retirement community in Overland Park, Kansas. The location of the apartments will be in a new residence building, to be called Hummingbird Square. This will be an 110,000 square foot, four-story structure adjacent to a picturesque courtyard. A weatherproof enclosed walkway will connect the new building to the Audubon Clubhouse. Other features of the new addition will include an underground parking garage for 74 cars and an adjacent surface lot with 65 parking spaces. A new turnaround will also be added at the main entrance of the campus. Construction is scheduled to be completed in summer 2017. S. M. Wilson will provide General Contracting services. Architect for the project is Lantz-Boggio Architects. 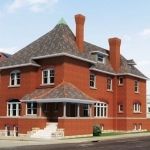 S. M. Wilson is a full-service construction management, design/build and general contracting firm with headquarters in St. Louis. 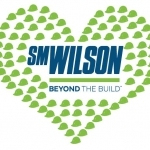 S. M. Wilson is one of the largest general construction and construction management firms in the St. Louis area. The company posted $305 million in 2015 revenues, and ranks 220th in Engineering News-Record’s 2016 list of Top 400 commercial contractors nationwide. For more information, visit www.smwilson .com. 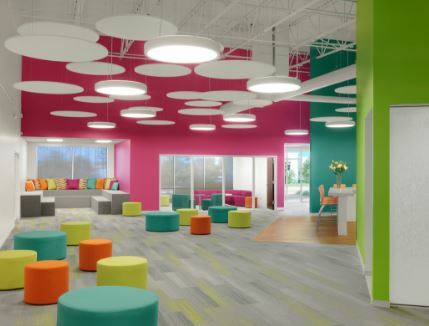 McGrath & Associates has completed construction on the expansion of the Girl Scouts of Eastern Missouri headquarters at 2306 Ball Drive in Maryland Heights. 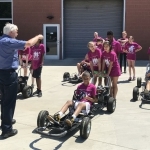 The new Berges Family Girl Scouts Program Center houses programs that are focused on STEM careers, health and money management. Oculus Inc. was the architect. 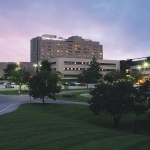 Landmark Contract Management was the owner’s representative. 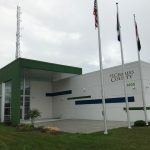 McGrath constructed the 6,500-square-foot one-story facility in an existing space adjacent to the Girl Scouts of Eastern Missouri headquarters. 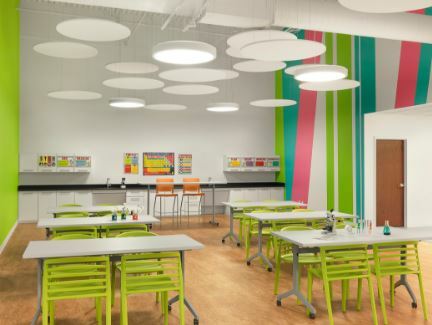 The new program center includes a robotics lab, science area, demonstration kitchen and program studio. Design features include suspended lighting, acoustical ceiling “clouds” and a glass feature wall. The Program Center is the first of its kind for the organization, according to Barczykowski. GSEM has more than 43,000 girl members and 15,000 adult members in St. Louis City and 28 surrounding counties. McGrath & Associates is a 100 percent employee-owned general contractor and construction management firm specializing in commercial, health care, industrial, institutional and pharmaceutical construction projects since 1983. 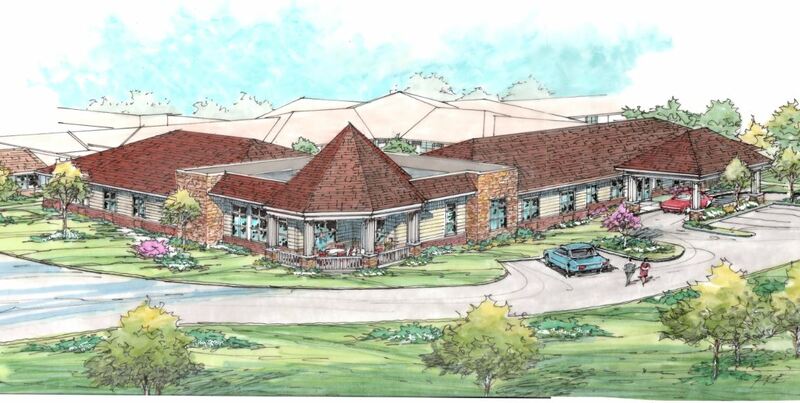 Wiegmann Associates has begun work on The Sheridan Assisted Living facilities in Sunset Hills, Chesterfield and Creve Coeur. 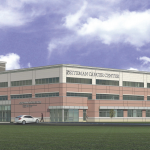 Wiegmann is the engineer of record and installing contractor for HVAC and Building Automation Systems, and is providing on-site project management for the Design/Build project. Senior Lifestyle Corporation, based in Chicago, is developing the projects, which have a combined completion value of $65 million. 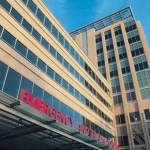 Wiegmann is installing high-efficiency HVAC systems that reduce first cost and improve humidity control and sound levels while increasing usable interior space and reducing long-term maintenance costs. Wiegmann also is installing a Building Automation System in each facility. 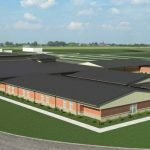 Wiegmann’s HVAC solutions will save $25,000 per year in energy costs across the three facilities as compared to the original design. 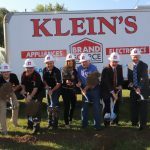 Construction has begun on all three facilities. 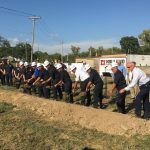 The $17 million, 69,000-square-foot, 84-apartment The Sheridan at Laumeier Park in Sunset Hills and the $17 million, 42,000-square-foot, 53-apartment The Sheridan at Creve Coeur are scheduled for completion in early 2017. The $31 million, 84,000-square-foot, 91-apartment The Sheridan at Chesterfield is scheduled to open next summer. The facilities combined will create more than 425 construction jobs and 295 permanent jobs. Brinkmann Constructors is the general contractor. 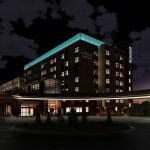 The projects are a joint venture of Bob Brinkmann, founder of Brinkmann Constructors, and Senior Lifestyle, operator of senior living facilities across the United States. 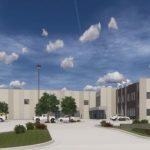 U-Haul will soon begin construction on a three-story, 79,330-square-foot facility to serve the do-it-yourself mover and self-storage customer northwest of St. Louis. 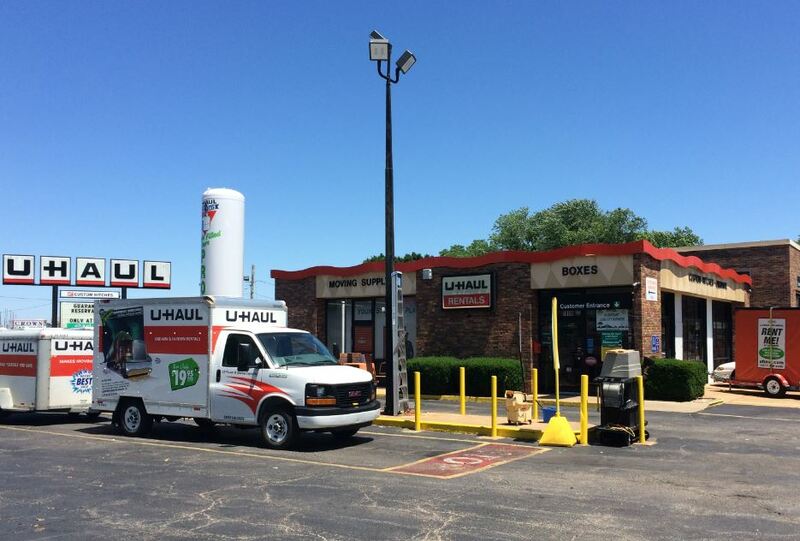 U-Haul Moving & Storage of Florissant II at 1350 N. Lindbergh Blvd. will be operated remotely by U-Haul Moving & Storage of Florissant, located one-eighth of a mile east of the acquired site. A building erected in the 1960s that once housed a prominent auto dealership occupies the site, but it has been condemned and will soon be leveled after sitting vacant for more than eight years. 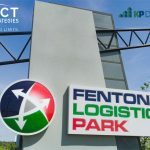 When construction at the 3.63-acre property is done, the facility will include a U-Box warehouse in addition to indoor, climate-controlled self-storage with state-of-the-art security features. It will offer 24-hour accessibility for customer convenience. U-Haul is a proud sponsor of the 75th anniversary of Pearl Harbor Day. The Company is honoring Pearl Harbor survivors and World War II veterans by supporting the events in Oahu commemorating the Dec. 7, 1941 attack. Founded by a WWII Navy veteran and his wife, U-Haul makes veterans a focus of its charitable works and has been recognized repeatedly as one of the top veteran-friendly U.S. employers. Any Pearl Harbor survivors affiliated with U-Haul Team Members or neighborhood dealers are encouraged to contact U-Haul at publicrelations@uhaul.com. 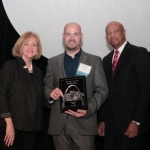 St. Louis-based building enclosure contractor IWR North America, formerly IWR Building Systems, recently won the 2016 North Central Region Craftsmanship Award presented by the Construction Specification Institute (CSI) and The American Institute of Architects (AIA) St. Louis 2016 Design Award in the craftsmanship category for its work on the Shriners Hospital for Children. The CSI award is presented to organizations for superior craftsmanship in the construction industry within the region in the person’s trade profession. Many organizations in the region recognize outstanding design, but very few emphasize craftsmanship. The AIA Awards Program celebrates the best architectural designs in five categories: unbuilt, interiors, architecture, drawings and craftsmanship. The winning project represented the finest standards in craftsmanship in the community. 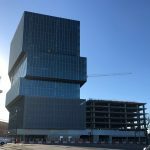 The building exterior consists of 3,600 rotated square ACM metal panels that required precise craftsmanship due to the intricate geometric details of the building surface. The panel system has been engineered with a pressure-equalized rain screen design allowing for a drainage cavity behind the panels. To reassure the building owner that the enclosure would function properly, IWR became the only exterior contractor in St. Louis to be certified by the ABAA (Air Barrier Association of America) as a requirement to having a weather-resistant barrier installed. IWR North America, formerly IWR Building Systems, is headquartered in St. Louis, Mo. IWR is one of the longest standing specialty contractors in the United States focusing on total building envelope solutions. Midwest Block & Brick, a division of Midwest Products Group, announces the expansion of the company across several states. 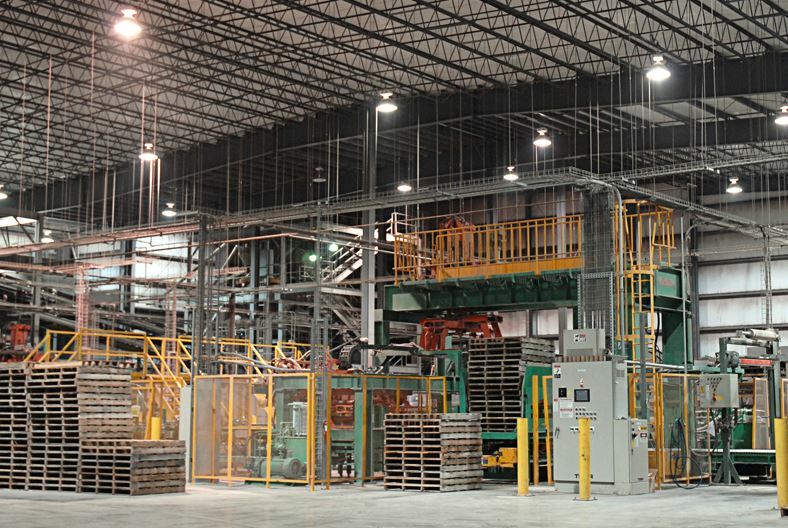 The expansion has taken place over several months and year, and included in this expansion activity is the acquisition of several regional block and brick competitors – Basic Block Group LLC; Boral Bricks, Inc. (Paducah, KY showroom); Chandler Materials Company; Glenstone Block Company; Kenco Enterprises; Long Block & Brick; Nattinger Materials Company; Ready Mix USA, LLC; and Southern Concrete Products, Inc.
Patrick Dubbert, CEO and Chairman of the Board for Midwest Block & Brick, comments, “These acquisitions and resulting expansion of Midwest Block & Brick gives us a presence in the southern states of Tennessee, Mississippi, Kentucky, Oklahoma and Arkansas. We are now able to offer more products and options, as well as a more experienced labor force and well-trained sales team for both our retail and construction industry customers.” Dubbert adds, “This expansion ultimately gives the consumer more choices for their block and brick projects, and more places to choose their materials from.” For more information about Midwest Block & Brick and the company’s recent acquisitions and expansion please contact Jodi Winegar with Midwest Block & Brick at 573.635.7206 or visit their web site at www.midwestblock.com. Midwest Block & Brick manufactures and distributes concrete block, retaining walls, pavers, brick, stone, and other masonry and landscape products “Made in America Since 1948”. Spellman Brady & Company is pleased to announce the completion of the interior design for the Woodlands of John Knox Village in Pompano, Florida. The $34 million Woodlands project consists of a 7-story, 124,633 square-foot building housing 144 suite-residences for elders requiring state-of-the-art skilled nursing and short-term rehabilitation care. Spellman Brady provided full interior design services for the project which included design, selection and specification of the project’s finishes, furniture and artwork, as well as the procurement and installation of the furniture and artwork. The overall design of the Woodlands consists of common and social areas on the first floor and utilizes an innovative Green House® philosophy for the private home-style 144 suites on the upper six floors of the facility. Each of the resident floors has two Green House® homes with 12 private bedroom suites with personal bathrooms. The suites are organized around a shared hearth living room with an adjacent open kitchen and dining room. Spellman Brady’s overall design concept for the project was inspired by the colors, animals, flora and fauna of South Florida. The interiors were planned to be bright, cheerful and uplifting in order to give the elders the experience of a “real home”. Artwork was a blend of newly procured pieces and some “donated” pieces from the residents of the community. Spellman Brady & Company, a nationally recognized, woman-owned interior planning and procurement firm, collaborated with architects RDG Planning & Design from Omaha, Nebraska; Gallo Herbert Architects, the owner’s representative and The Weitz Company of West Palm Beach, Florida, the project’s general contractor. John Knox Village is a Life Plan Retirement Community encompassing a full range of independent living, assisted living and skilled nursing care options for more than 1,000 residents. Since 1967, John Knox Village has been a home to an eclectic mix of “realistic idealists,” who believe in planning for an uncertain future while enjoying a fulfilling present. 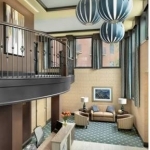 Spellman Brady & Company is a St. Louis–based interior design firm specializing in Healthcare, Higher Education and Senior Living environments. 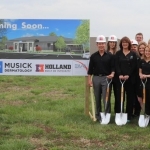 Holland Construction Services, Inc. (Holland) joined with staff and residents of Oak Hill, along with members of the Waterloo community, at a ground breaking celebration for Oak Hill’s new transitional care center. 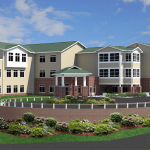 The 16,000 square‐foot addition, called Evergreen Pointe, will include 7 long‐term private rooms in addition to a short‐term rehab unit with 14 private rooms. The new addition will also feature a dining room, common area, and courtyard. “The purpose of this addition will be to provide services to those who are just coming to Oak Hill for a short‐term rehabilitative stay while recovering from a surgery or illness such as a hip fracture, knee replacement, stroke, etc,” said Kim Keckritz, Administrator at Oak Hill. Oak Hill has been servicing the residents of Monroe County for over 65 years. 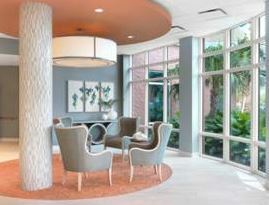 In addition to their rehabilitation services, they also offer senior living apartments, memory care, and skilled care. 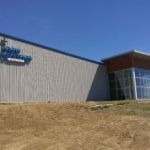 Grubbs & Associates out of Hazelwood, Missouri, is the architect on the project. Work on the new addition is scheduled to be complete in May 2017. Holland Construction Services is a full‐service construction management, general contracting, and design/build firm based in Swansea, Ill., guided by the principle of providing our clients the best possible building experience on every project.